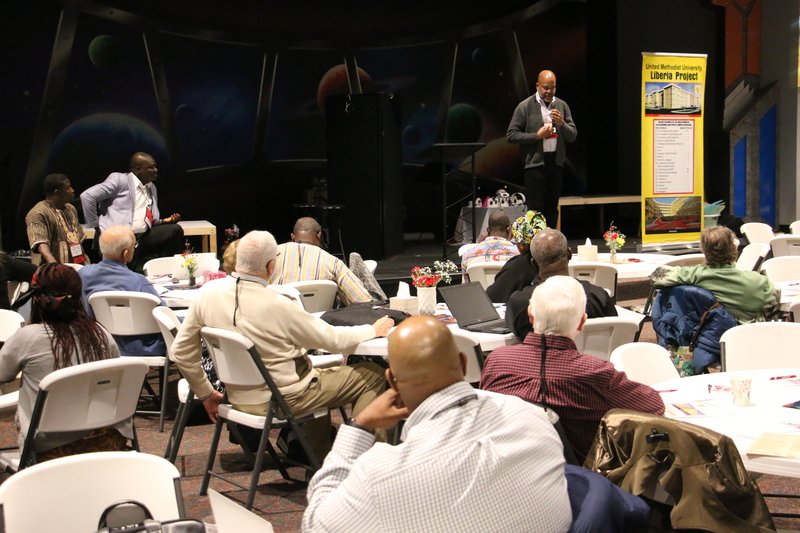 For nearly 10 years the Liberia Partner Summit has brought together leaders from the Liberia Annual Conference (LAC) and clergy and laity from conferences and central conferences of The United Methodist Church who do ministry in the West Africa country. The 2019 summit was held April 4-5 at Garfield Memorial Church (North Coast District) in Pepper Pike. What was learned from those conversations became the basis for the eight pillars on which the Strategic Direction was built: 1) Evangelism, Spiritual Formation and Mission, 2) Financial and Infrastructure Management Accountability and Stewardship, 3) Agriculture and Rural Development, 4) Education, Human Capacity Development and Outreach, 5) Health and Social Welfare, 6) Peace, Reconciliation and Unity, 7) Age Level Ministries, and 8) Ecumenical Relations and Connectional Partnerships. This Partner Summit in East Ohio was the first time that the Strategic Direction was rolled out to a larger audience after it was adopted earlier this year at the Liberia Annual Conference business session. 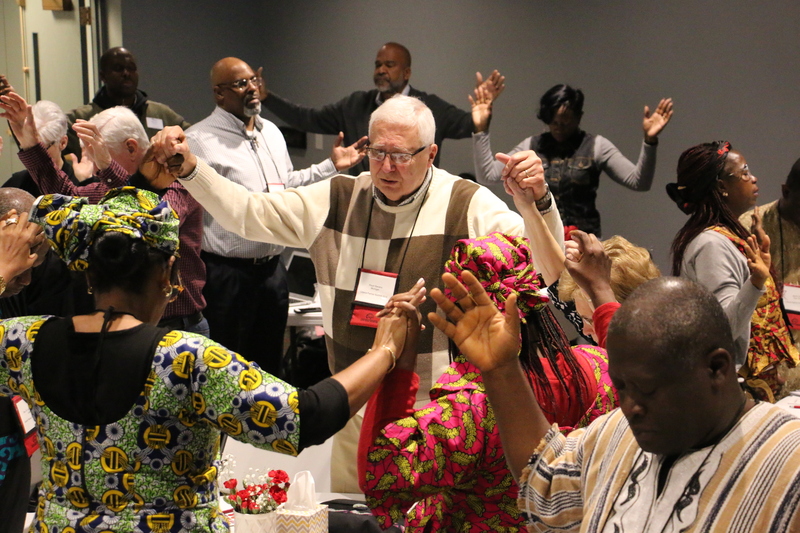 The Summit was attended by 84 people who came representing either the Liberia Annual Conference, 17 United Methodist conferences in the United States, or four of the General Agencies of the denomination. Over the course of the two days, participants worshipped together, prayed together and broke into small groups. “The purpose of the breakouts was to allow the partners, the agencies, and the Liberia Annual Conference leaders to come together and have some intimate time to talk about the main priority of each of the eight pillars, which become the focus for 2019,” Hockran said. Bunny Wolfe, coordinator of Missions and Outreach for the Illinois Great Rivers Conference, reminded attendees that we in the United States do not make decisions for the world. Since 1983 Garfield Memorial Church has been a sister church with the James A. Garfield Methodist Church on the grounds of Camphor Mission Station in Liberia. In his opening night worship service message, the Rev. Chip Freed of Garfield Memorial Church drove home the point that we all need each other. “Maybe we can be the community of faith where we go in and say, ‘how about we get to learn each other’s culture a little bit better,’ how about we listen to each other a little more,’ ‘how about we say I have no idea what it’s like to be you but this I know, in Jesus Christ, God wants everybody,’” he shared. 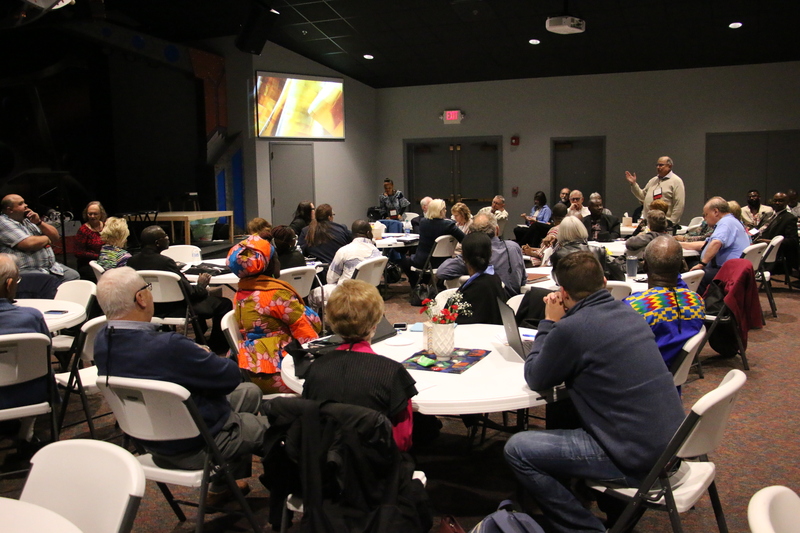 The Liberia Partner Summit convened a little over a month after the Special Session of the General Conference had met in St. Louis, Missouri. That meeting of the top legislative body of The United Methodist Church highlighted some of the challenges of a worldwide denomination. The Rev. Jon Reynolds, Michigan Area Liberia Ministry Partnership chair agrees. He has developed life transforming relationships working in mission the past seven years, traveling to Liberia, and hosting people from Liberia in his home. “What this partnership is doing is it is bringing us closer, so we can hold hands, we can pray with each other, we can cry with each other, we can clarify our misconceptions, and clarify issues that may have existed among us because we were not connected as close as we needed to be, and I thank God for that,” Kulah shared.